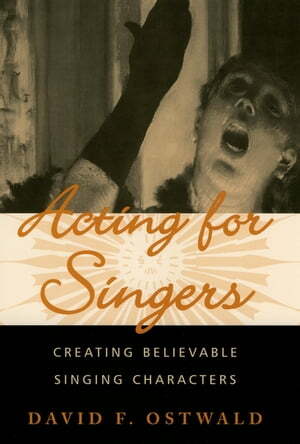 Collins Booksellers - Acting for Singers by David F. Ostwald, 9780199881833. Buy this book online. Written to meet the needs of thousands of students and pre-professional singers participating in production workshops and classes in opera and musical theater, Acting for Singers leads singing performers step by step from the studio or classroom through audition and rehearsals to a successful performance. Using a clear, systematic, positive approach, this practical guide explains how to analyze a script or libretto, shows how to develop a character building on material in the score, and gives the singing performer the tools to act believably. More than just a "how-to" acting book, however, Acting for Singers also addresses the problems of concentration, trust, projection, communication, and the self-doubt that often afflicts singers pursuing the goal of believable performance. Part I establishes the basic principles of acting and singing together, and teaches the reader how to improvise as a key tool to explore and develop characters. Part II teaches the singer how to analyze theatrical work for rehearsing and performing. Using concrete examples from Carmen and West Side Story, and imaginative exercises following each chapter, this text teaches all singers how to be effective singing actors.